I made this Goal Board simply by sticking a sheet of black card stock in front of the glass of a frame I got for Christmas from my grandma and writing on it with a silver paint pen. 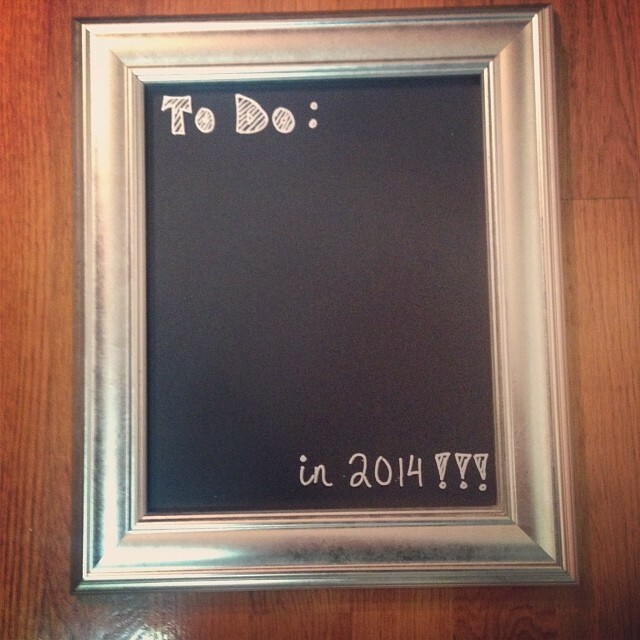 I've slowly started filling it up with goals I want to achieve for 2014 - some simple, some not-so-simple. I like the word "goals" better than "New Year Resolution" because goals sound not only more doable, but the latter tends to taper off somewhere near January 20th. Goals are reasonable. Goals are motivating. And keeping them on my wall where I will see them everyday as I get ready in the morning or before I walk out of my house means that I will be constantly reminded of the things I want to accomplish and I will be less likely to waste time.